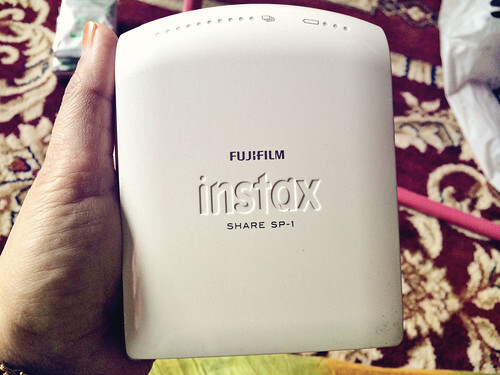 I finally caved in and bought myself an Instax Share printer by Fujiflim. 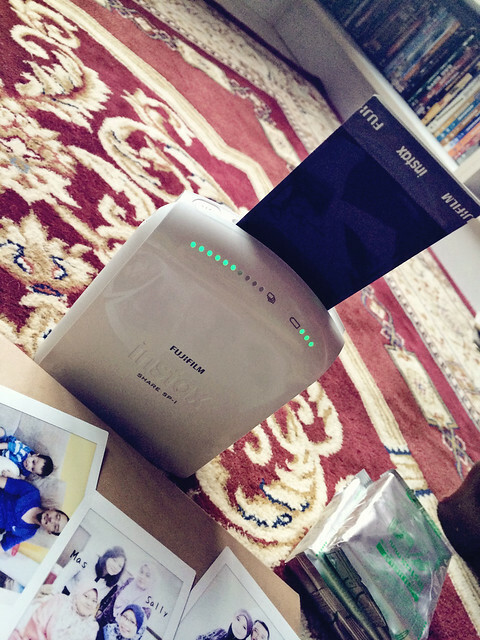 This is finally a polaroid print that meet my specification. 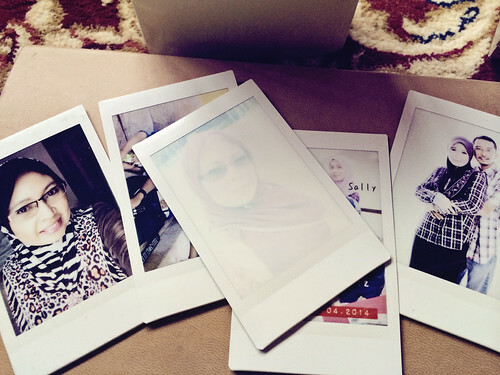 Back then I was hesitate to buy an Instax Mini 8 camera just because I am not a great photographer and I can't take a great photos with manual setting. I can't even adjust the lighting to make a photo pop up. And the lack of digital copy of a photo really turn me off. And then I made a DIY template for making a Instax Mini polaroid, it was fun for awhile but it is still an extra step to take before I get the result. 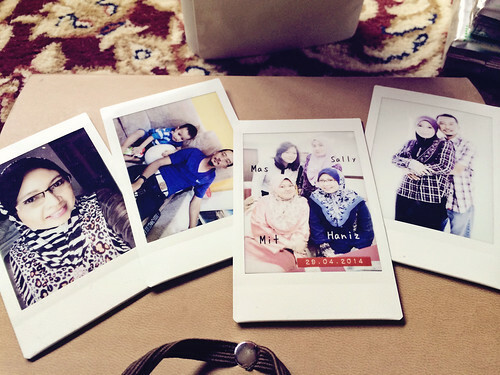 Now with Instax Share printer, I got the result immediately. I am super duper excited with my new printer and I have been printing like crazy. 1. Compact and light weight. I can bring this printer anywhere I go and it fit perfectly in my bag pack. I can put this printer anywhere in my home and print. The paper sold everywhere in Malaysia, so I don't have problem getting one but it is a bit pricy. For a cheaper price get them from Lazada and you will go crazy buying like hundreds of them. And they also come with cute borders. 4. So many projects I can do with these little polaroid prints. The first thing that comes to mind is Project Life. This is going to look great in my Project Life album. 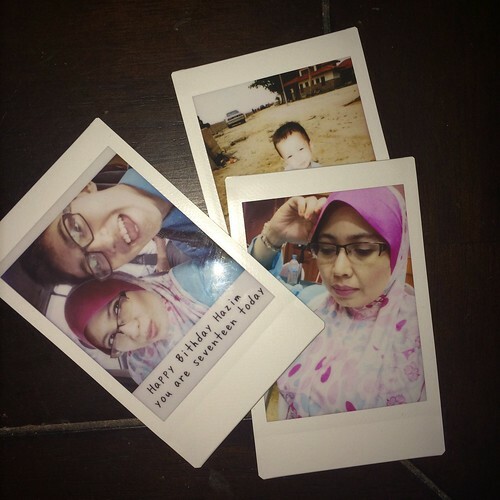 Mixing the photo with different app is also something fun I can do, like in the photo below I used Instant app to create a normal polaroid and add text before I print them out. I am also adding these photos into my journal and smash book. The Price between RM600 - RM700 for the printer alone. The paper normal price for 10 pieces is about RM32.00. Try and hunt for something cheaper than that because I'll tell you 10 pieces is not enough for the speed of printing like crazy. And the batteries also not cheap - 2 x CR2 is about RM50.00. I am still hunting for the power adapter. This might come in handy if I run out of batteries faster than I can replace them. Currently I am still using the batteries that comes with the printer and I have been printing for more than 50 photos and the batteries are still good.